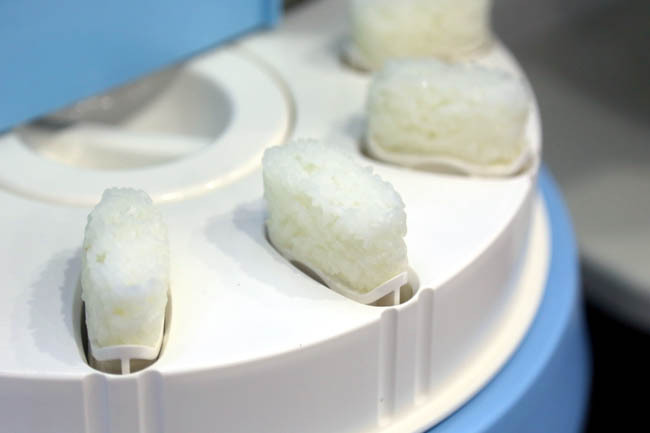 The visit to Food and Hotel Asia (FHA) 2014 was indeed an eye-opener, not so much for the food on display, but the new food technologies and platforms that are in, or going to be introduced to the markets. 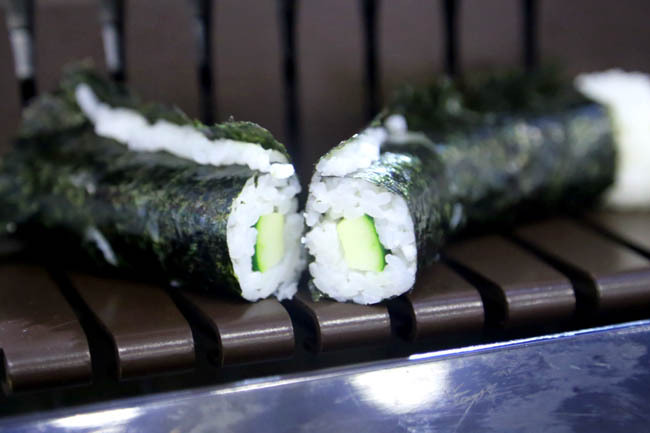 From sushi-cutters, soup dispensing machines, fast rotisserie ovens, cake-slicers (so that the whole cut is cut into 12 even), automated steamer… it got me excited as a ‘gadgetry’ person. The thing is, we have probably experienced some of these machineries overseas. And I wondered why Singapore companies haven’t adopted the usage of many, especially when several of these instruments could help ease the labour shortage. 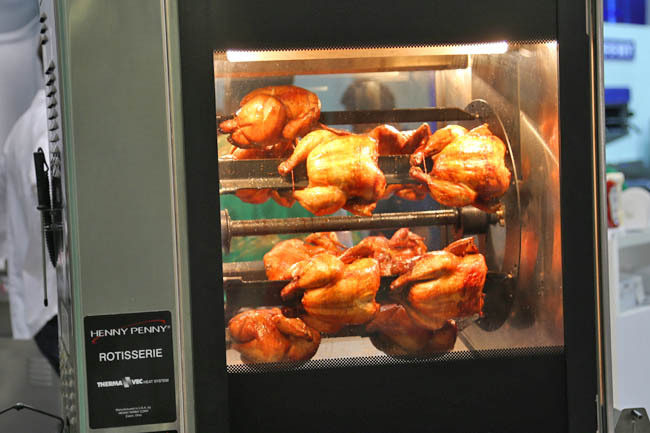 These are some technologies that are already in place in Singapore, and looks like it will further change the way we order food. Is it a Yay or Nay for you? 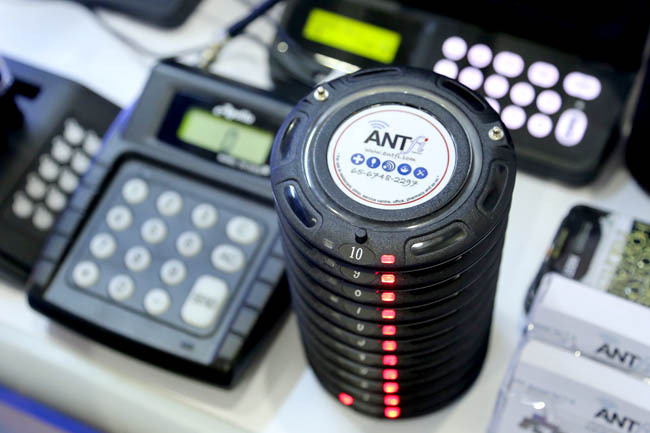 Guest Paging System – Yay or Nay? My familiar local kopi cafe used to give me a number tag, and an auntie would serve me toast at the table once it is ready. Recently, she issued me with a round ‘convenient disc pager’. The difference is, I had to walk back to the service counter to get my food. My initial thoughts were: So troublesome, have to walk up and down. Then upon seeing that the café is rather shorthanded, it is a means to get staff involved in their actual tasks – preparation of food, rather than serving patrons at the table. I saw these paging discs years ago in Japan and Korea, but these are getting very much common in Singapore in fast casual diners. It isn’t difficult to see why they are more frequently being used. The F&B industries face severe labour shortage, and getting this system (which I found wasn’t that pricey surprisingly) could free service staff especially the elderly ones, from spending time searching for number tents, calling for numbers (“Number 5 toast!”), and serving food to patrons. Customers are likely to get their food faster without worrying about missing orders. The newer models can also incorporate video advertisements on the pagers. That means businesses can push their other offerings to customers, keeping them engaged while they view a visual promotion. 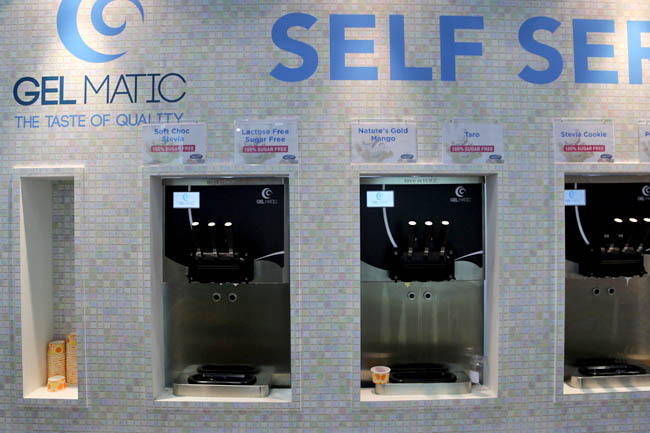 Self-serve Gelatos and Yogurt Machines: Yay or Nay? The advantages of self-serve machines can be summarised in one word – Control. 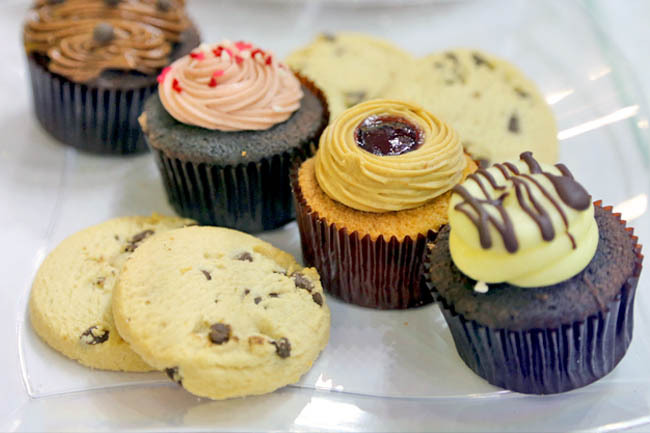 As customers, we can control what flavours we want, include toppings we like, and portions (though sometimes we get out of hand, especially children!). For businesses, there is a joke that these self-service kiosks report to work every single day, and never take MC, unless they malfunction. 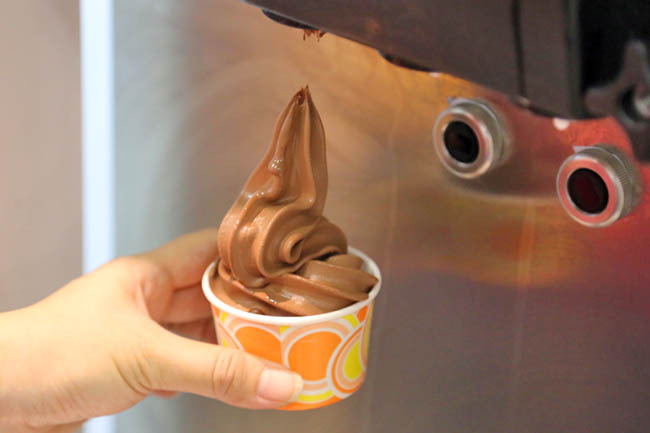 As no yogurt needs to be handled by staff directly, who would just need to sell the cup and cones, this would save them a lot of time and effort from scooping and handling. Plus it is likely to be more hygienic. There were also some machines which could churn out “gourmet quality gelato” in a total of 12 minutes! Yes, we just saw the demonstrator add a bag of ingredients mix and milk, and the gelato was good to eat after a manner of minutes. Self-Ordering Kiosks: Yay or Nay? 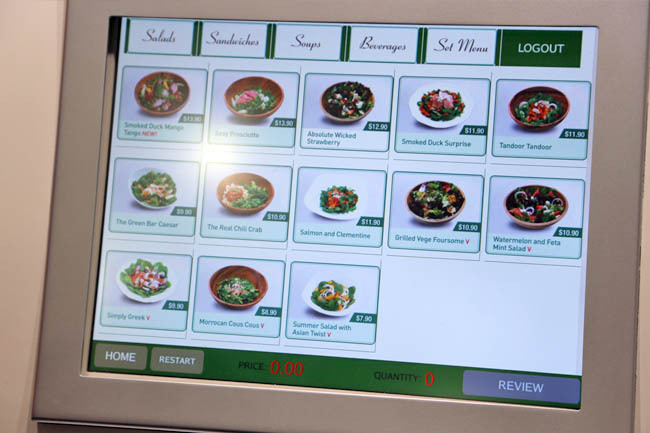 You may have seen these customer self-order kiosks at Curry Times, Green Bar and Yoshinoya. How these kiosks work is that customer make orders via a screen, make payment at kiosk (last I hear the machines are going to be integrated with ezlink cards) and customers collect their order when their number is called. 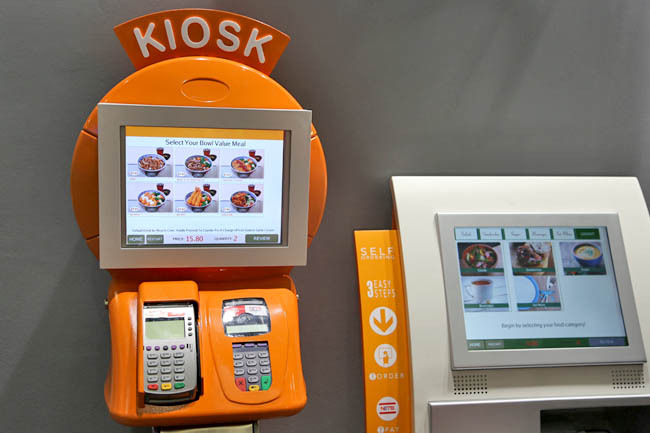 Yoshinoya revealed that these kiosks have increased the efficiency of its existing manpower operations, and they are able to redeploy staff to handle other tasks that increase customer engagement. Also, waiting time from order to delivery is reduced by 17%, food wastage reduced by 24% due to elimination of wrong orders, and sales per worker increased by 14%. Accepting and Adapting To Changes: Yay or Nay? This visit also gave me a lot of inspirations – not so much on the difficulties, but the opportunities of starting or maintaining a business. Not that it is any easy with the labour crunch, but there is about finding the right technology while tapping on resources. A quick check with the e2 booth (I took a form too!) indicated that more than 60 firms have enquired at their FHA booth about on-the-spot approval for e2i’s Inclusive Growth Programme grants. IGP grants subsidise productivity investments on the condition that workers get pay increases. That means a subsidy on the technology the company is getting, while workers get more salary. It’s like killing two birds with one stop. Business wise, jobs can be made easier, smarter and safer through automation or process redesigning. So why havn’t companies jumped on the productivity bandwagon yet? We should also play our part as better customers and understand that although we are used to being served by a human, there’s no harm supporting new initiatives by your local F&B businesses who are grappling with manpower crunches, providing constructive feedback along the way, and treating the service staff as nicely as you would want to be served. ← The World’s 100 Best Restaurants 2014 – Noma is No 1, Andre at 37!